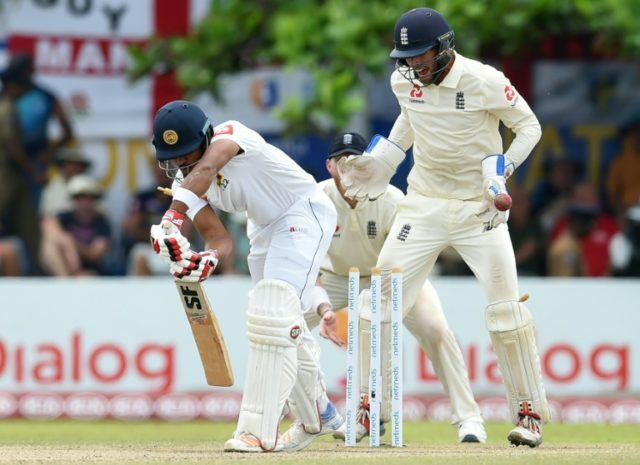 Galle (Sri Lanka) (AFP) – England strode towards victory in the first Test in Galle on Friday, claiming four quick wickers either side of tea as thunderstorms held off. In pursuit of a notional 462 for victory, the hosts were 211-7 just after the tea break, with spinners Jack Leach and Moeen Ali claiming three wickets apiece. After lunch Kusal Mendis hit Leach for four over his head but attempting a repeat the next ball spooned the ball to Moeen and departed for 46. Stokes said before the day’s play that he expected Moeen, Leach and Rashid to do the most damage, with the ball spinning ever more quickly off the pitch. “If our spinners can get the ball in the right area on a consistent basis then I think it’s going to make it really hard work for the Sri Lankans,” the Durham all-rounder had said.